It’s citrus season in the Bay Area and folks everywhere are harvesting their winter crops. Friends have gifted us bags of golden yellow Meyer lemons and we’re happy to accept. 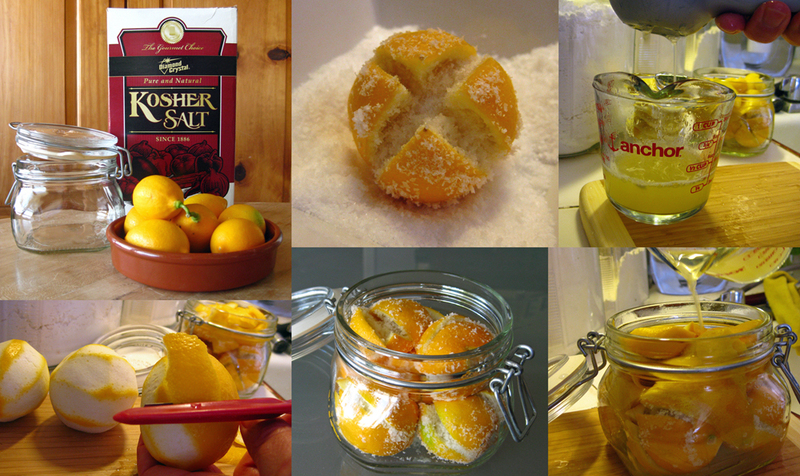 Meyer lemons are sweeter and more fragrant than their true lemon cousins. Their thin skins make them more delicate and their lower acidity makes for a more versatile flavoring agent. Raw or cooked, these beauties are a favorite in our kitchen. A friend recently asked what to do with all the lemons on her tree and we suggested preserving. Typical of Mediterranean lemon preservation, we like salt packing lemons and their juice into jars where they are then left to ferment, transforming them into a savory condiment deliciously paired with a variety of dishes. They’re great chopped and added to fresh sauces for fish, or stewed with chicken, olives and fennel. Preserved lemons are commonly added to couscous and other grain dishes where they add rich complexity. However you use them, these lemons are best used as a condiment. That means a little will go a long way (remember, they’re preserved in salt and lemon juice). Taking a spin on the most obvious pun, “When life gives you a bag of Meyer lemons, preserve them.” They’ll last longer than lemonade and will flavor more dishes. The following recipe comes from Chef Mourad Lahlou of Aziza in San Francisco who included it in his book – Mourad: New Moroccan. While the recipe is simple, preserved lemons aren’t a last-minute flavoring, so if you plan to add them to your pantry, you’ll have to wait a month before digging in. We think the wait is worth it! As easy as cut, salt, juice, and pack. Slice the 6-8 lemons lengthwise and in a cross shape ¾ of the way through the lemon. Generously add the kosher salt down the center of the lemon and pack it in a sterile jar. Continue with all the lemons. With the lemons you intend to juice, be sure to remove strips of lemon zest (use a veggie peeler). Make sure not to remove too much of the pith. Add the strips of zest to the jar. Juice the zested lemons either by hand or with a citrus juicer. Pour the lemon juice over the salted lemons in the jar, make sure the lemons are fully covered by the juice, seal tight. Allow to sit in a dark area of your kitchen, gently shaking the jar daily. After about a month the lemons will be ready to use. I have really enjoyed reading your blog, it gives me lots of ideas. Such a nice note! Thank you for the recognition. We’re honored.